Connect up to eight cameras to the M4200 Series 8-Channel 1080p HD-CVI DVR with 2TB HDD from FLIR to monitor your business or home. The DVR is capable of recording up to 1080p resolution video at 30 fps. The recorder allows for simultaneous viewing, recording, playback, backup, and remote access so that you don't have to stop recording to work with the system. The DVR has audio inputs and outputs, as well as alarm inputs and outputs for a fully integrated surveillance solution. Connect the DVR to your network and view video remotely by downloading the free app for iOS and Android devices. A 2TB HDD comes preinstalled to save recorded video and audio. 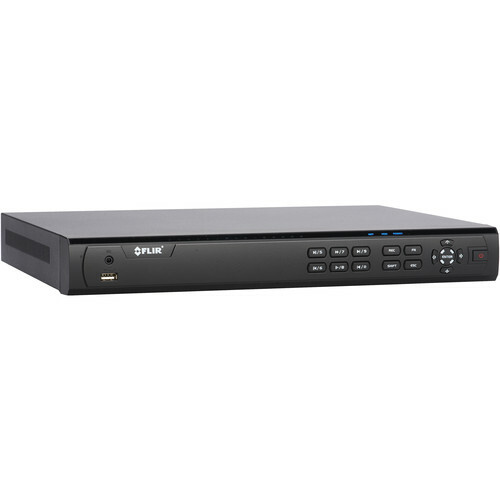 Box Dimensions (LxWxH) 17.6 x 14.2 x 6.2"
M4200 Series 8-Channel 1080p HD-CVI DVR with 2TB HDD is rated 5.0 out of 5 by 1. Rated 5 out of 5 by David from This Is A Great Product!! I purchased this DVR to replace a unit from another manufacturer. The previous unit did not do what I needed it to and was becoming antiquated. FLIR's DVR has been a perfect fit into my setup. I'm using the unit to record several cameras used in research. The recorder is in a warm (80 F to 85 F) environment with approximately 40-50% humidity and functions flawlessly! There are plenty of on-board analytics to determine when motion was detected and other occurrences, and retrieving copies of the video via backup is very simple. As my study expands, I plan on purchasing additional units to record the new cameras!